Shopping for a new Ford Ranger? The 2019 Ford Ranger’s myriad appearance packages are tempting, but they add big bucks to its price tag. 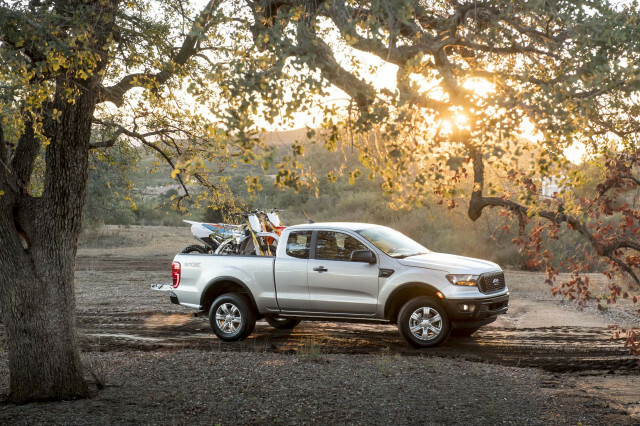 The Ranger gets off to a good start with its 270-horsepower 2.3-liter turbo-4 and 10-speed automatic transmission. The engine and transmission work in concert to deliver strong acceleration and surprisingly good fuel economy ratings. A properly equipped Ranger is rated to tow up to 7,500 pounds, 500 more than its rivals. The Ranger follows pickup truck convention with its separate ladder frame, independent front suspension, and solid rear axle with leaf springs. Its electric power steering delivers crisp, linear handling, and its ride is less bouncy than most other mid-size pickup trucks. Rear-wheel drive is standard and a part-time four-wheel-drive system actuated by a knob in front of the gear lever is optional. Ford makes some four-wheeling gear such as an off-road cruise control system and a locking rear differential available, but so far there’s no serious rig to rival the Chevy Colorado ZR2 or Toyota Tacoma TRD Pro. The Ranger comes in extended- and crew-cab configurations. Extended cabs have good space up front but little room for adults in a pair of rear seats. Crew cabs are spacious enough for one average-size adult to sit behind another. Extended-cab Rangers have a 6-foot bed, while crew cabs have a 5-foot bed. No Ranger is fancy inside, but the XL and XLT are well-equipped for their prices. A base Ranger XL costs about $25,500, but most buyers will spend $2,200 more for the crew cab and many will pop in an additional $4,000 for four-wheel drive. A four-wheel-drive Ranger XLT with the optional 8.0-inch touchscreen for infotainment, Apple CarPlay and Android Auto capability, and a few active safety features in addition to the laudable standard automatic emergency braking costs about $37,000. Inexpensive, the Ranger is not, but its smart blend of fuel economy, performance, and parking lot-friendly sizing makes it a standout among smaller pickup trucks. The 2019 Ranger features a rounded front fascia that shares its basic theme with the Ford Edge crossover SUV. Headlights jut out from a wide grille emblazoned with a big Ford blue oval and the word “Ranger” stamped into its plastic. A deep cut into the lower doors gives the Ranger more visual flair from the side than its slab-sided competitors. At the rear, its tailgate echoes the big branding theme but is otherwise largely unremarkable. 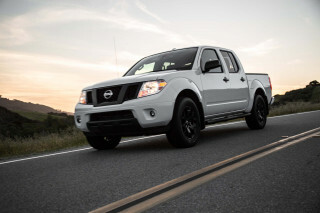 Extended-cab versions have a 6-foot bed, while crew cabs feature a 5-foot bed and front-hinged rear doors. The Ranger isn’t bold and brash, but it doesn’t need to be. A number of appearance packages add different wheels, dress the bumpers in chrome or contrasting gray paint, and slap stickers on its bedsides. They’re more about flash than substance, although the FX4 off-road package comes with some off-road tech. The Ranger’s interior is functional hardly expressive, either. Base XL and XLT trims come with a dinky 4.2-inch radio screen flanked by numerous small buttons. The 8.0-inch touchscreen optional on XLTs and standard on Lariats is better integrated. Black and light tan interiors are on offer, both of which are conservative and tasteful. We’d like to see Ford take a page from its rivals with more fun interior hues and finishes. Ford makes shopping for a 2019 Ranger relatively easy, at least as far as what’s under the pickup truck’s hood. Don’t be put off by the size of its engine. At 2.3 liters, the turbo-4 outmaneuvers most competitors not with its 270 horsepower but with its 310 pound-feet of torque. The standard 10-speed automatic furnishes quick, smooth shifts and always seemed to be in the right gear during our initial preview drive near San Diego. The Ranger will bark its rear tires away from a stop and doesn’t let up as its speedometer needle races toward illegal speeds. Ford rates the Ranger as capable of lugging as much as 7,500 pounds with an optional towing package. 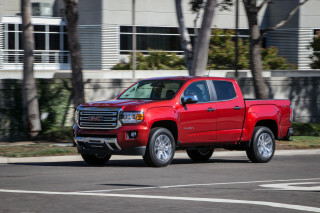 Rear-drive extended-cab versions have an 1,860-pound payload, too. By the numbers, the Ranger weighs about 4,000 pounds in rear-drive configuration, but that figure balloons to nearly 4,500 pounds for a fully equipped crew cab with four-wheel drive. The Ranger’s optional four-wheel-drive system is operated via a simple console-mounted knob. The part-time system isn’t meant for use on dry pavement. Rangers with the optional FX4 package add some off-road traction control modes and a crawl control system that acts like a mud-ready cruise control system to lope the pickup along at speeds as low as 1 mph or as high as 20 mph. Unlike a similar system available on the Toyota Tacoma, the Ranger’s doesn’t jar with loud brake actuator noises. The Ford system’s wide speed range means it’s useful for low-speed towing, too. One of the Ranger’s few standalone options is a locking rear differential, which is activated at the tap of a console button. Underneath, the Ranger rides on a separate ladder frame with an independent front suspension and a solid rear axle held on by leaf springs. That’s standard fare for a mid-size pickup, yet the Ranger rides with less bounciness than its competitors in most configurations. Its electric steering is direct and smooth, with carlike precision again not typical for pickups. The Ranger’s only driving demerit against its competitors is its relatively loud interior. Lariats have more sound-deadening measures than other trims, but even the extended-cab model we drove around San Diego had more road and wind noise than we like to see. Base Ranger XLs have reasonably supportive front seats that offer height adjustment and a good view out. Opt for the STX appearance package on the Ranger XL and Ford bolts in more supportive front seats with lumbar adjustment for the driver. Models with power front seats—Lariats and some XLTs—include height and lumbar adjustment for both front passengers. The crew cab’s rear seats are accessed via wide doors. Our 5-foot-11 editor had no problem passing the “sit behind yourself” test, although foot space was at a premium. The rear bench includes a flop-down armrest in some trims with two small built-in cupholders, but its backrest is not adjustable. No Ranger is lavish inside. Hard plastics dominate door panels, the center console, and the dashboard. The Ranger Lariat has a nice stitched panel for its dash top, but it doesn’t liven the mood enough for an extra point. We wish that Ford’s interior designers were a little more creative with fabrics, patterns, and trim finishes since all Rangers look nearly the same inside regardless of price. Storage space for smaller items is limited to wells in the door panels, a pocket in front of the gear lever, a center console bin, and a pair of bins beneath the rear seats on some versions. Extended-cab Rangers feature a 6-foot bed, while crew cabs have a 5-foot bed. A spray-in bedliner is optional. For now, however, we’ll have to wait for the NHTSA and the IIHS to perform their crash testing. The good news is that all Rangers leave the automaker’s Detroit-area assembly plant with automatic emergency braking with pedestrian detection. 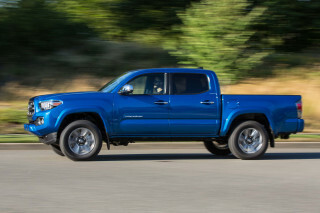 Among its competitors, only the Toyota Tacoma also features this life-saving tech as standard equipment. That’s a shame given how popular mid-size pickup trucks are. A package with active lane control, blind-spot monitors, and adaptive cruise control is available on every version of the Ranger. The 2019 Ford Ranger is available in just three trim levels, but a wide array of option packages makes it easy to customize one to your liking. The base Ranger XL costs about $25,400 with rear-wheel drive. That’s inexpensive, but most buyers will likely opt for the crew cab for about $2,100 more. Adding four-wheel drive bumps the price by another $4,000. That’s outrageous, but not out of line with competitors. The Ranger XL trim comes with the basics, but not much more. Power windows and locks, air conditioning, automatic emergency braking, a 4G LTE Wi-Fi hotspot, Bluetooth, and a 6-speaker AM/FM stereo with a single USB port are all standard. Cruise control, power mirrors, and remote keyless entry costs about $1,100. Add in a bedliner, trailer-towing equipment, and a locking rear differential and the most basic four-wheel-drive crew-cab Ranger we’d recommend crests $34,000. The Ranger XLT starts at about $35,200 and includes interior carpeting, tinted windows, alloy wheels, and a few of the convenience features such as cruise control and power mirrors that are optional on the XL trim. Another $995 buys an 8.0-inch touchscreen for infotainment with Apple CarPlay and Android Auto compatibility, a leather-wrapped steering wheel, satellite radio, and power-folding side mirrors. Shop wisely, though, since Ford buries some desirable options in pricey packages. For instance, adaptive cruise control comes with navigation for $795. Heated, power-adjustable front seats are bundled with a sliding rear window, remote start, and a few cosmetic upgrades for a hefty $2,800. A Ranger XLT with four-wheel drive can easily top $40,000. At that price, the Ranger Lariat starts to seem like the better buy. Its base price with four-wheel drive and the crew-cab body is about $39,500, but it comes with leather upholstery, LED headlights, the upgraded 8.0-inch touchscreen, and keyless ignition. Tick all the option boxes and the Ranger can top $48,000. Our advice? Stick with a modestly equipped Ranger XL or XLT for the best balance between utility and value. There’s just one engine available in the 2019 Ford Ranger, a 2.3-liter turbo-4. According to the EPA, it's estimated at at 21 mpg city, 26 highway, 23 combined with rear-wheel drive. Among mid-size pickups, that’s a commendable feat. With four-wheel drive, the Ranger dips to 20/24/22 mpg. 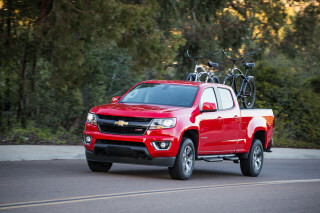 The Chevy Colorado and GMC Canyon’s optional diesel engine is rated at 25 mpg combined with rear-wheel drive, but it’s a costly option. 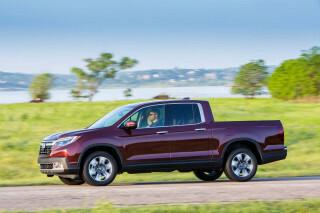 Even Honda’s Ridgeline comes in at an unimpressive 22 mpg combined with front-wheel drive. 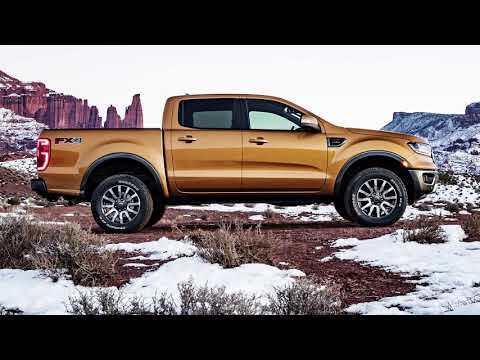 Looking for a different year of the Ford Ranger?